“Is Buzzfeed going to make something up? 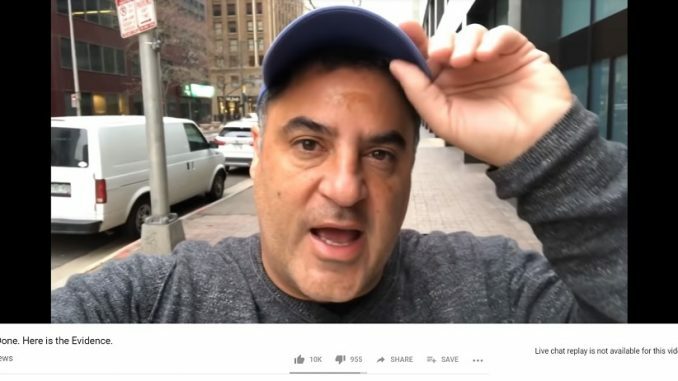 No, they’re not a right-wing publication,” The Young Turk’s Cenk Uygur declared Friday after reading Buzzfeed’s “bombshell” report claiming Donald Trump told Michael Cohen to lie to congress. “Can they get something wrong? Sure, of course, anybody can get something wrong — but this is a huge, huge deal and am I vouching for Buzzfeed,” Uygur said. He went on to say Trump’s going to “resign” because the government will threaten to put all his kids in prison. The Special Council’s office debunked the story hours later.